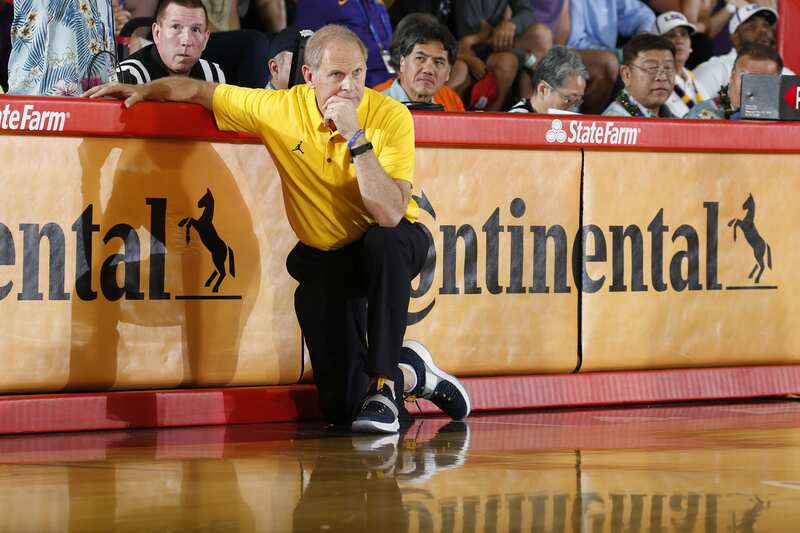 Can you imagine Michigan basketball head coach John Beilein getting ejected due to technical fouls? It’s not something that generally happens, so it’s understandable to be surprised or even shocked that it happened in Michigan’s upset loss to Penn State, which has been at the bottom of the conference all season and could be called the Big Ten’s most disappointing team. Despite their disappointing season, however, Penn State was up 40-27 at halftime on the #6 team in the nation, Michigan. Beilein, however, disagreed with the buzzer beater that put the Nittany Lions up by that margin going into the break, and after voicing his opinions to the referee, picked up not one but two technical fouls in quick secession. The fouls resulted in Beilein being thrown out of the game, and Michigan would fail to bounce back without their head coach. Bad call or not, Penn State ended up winning by a margin where it doesn’t matter. The result has some very interesting implications for the Big Ten because it puts the Wolverines under their in-state rival, Michigan State, in the standings. With both teams holding an 11-3 conference record, the final stretch of the season will be much more important.